Buyers love to see a product’s data, analysis, and impact summary and understand how it ranks against its competitors. 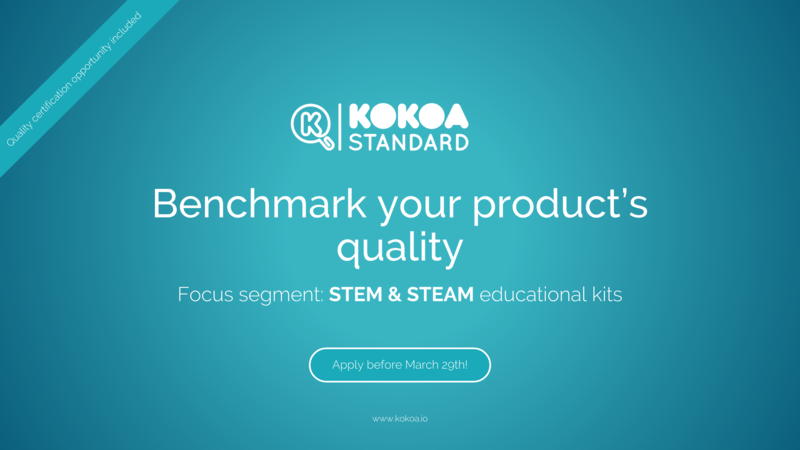 As every participating product is evaluated using Kokoa Standard method, the Kokoa Certificate is issued to all products that meet the science-based standard. The products are left anonymous in the rankings, but the categories’ top-ranking products are named. Each participant can see how their own product ranks in different categories. The STEAM Educational Kits batch will be followed by a Market Study focusing on Language Learning products. The application period for the study starts in April. If you're interested in enrolling your product or would like to know more, contact us at info@kokoa.io.